The Outplacement, Career Guidance and Motivational Speaking Company, MJW Careers, is Prepared to Assist Job Seekers and Companies with Career Transition. In Today’s World, Where Job Transition is Becoming More and More Prevalent for People in All Walks of Life, Every One Can Benefit from Career Transition Services. MJW Careers extends a warm welcome to job seekers and companies. Offering a wide array of services, MJW Careers meets any human capital management and career transition need. Their mission is to provide a customized career transition service that guides their clients on the right career path through career assessments, resume and cover letter services, interviewing practice, guidance in using the Internet as a source, motivational speeches, and much more. MJW Careers in headquartered in Wilmington, NC but serves all job seekers and companies throughout the country. Founded by a husband-wife team, Matt and Jamie Warzel, who united their real corporate-world experience to create a first-rate business, MJW Careers has much to offer. After 10 years in Human Resources and staffing, Matt brings his recruiting and career consulting experience to the forefront. Combined with Jamie’s corporate training and technical writing experience, this company is equipped for success. Feeling the effects of an ailing economy first-hand, the Warzels took it as an opportunity to realize a long-time dream of owning a company together. Taking their experience into consideration, Matt and Jamie decided a career transition service company was the way to go. Now with an aptly-named title, MJW Careers wants to share their career knowledge with the world. In connection with their motivational speaker services, MJW Careers is publishing a motivational book. It focuses on not only achieving success in a career, but in life as well. They launched MJWCareers.com in 2008 which alone serves as a valuable source of career information. For additional information on MJW Careers and its services, contact Matt or Jamie Warzel, or visit www.MJWCareers.com. 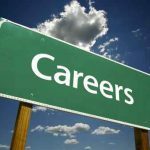 MJW Careers provides personalized outplacement, career transition and career coaching services for job seekers, companies, universities, unions, military, associations, and any other individual or group needing assistance.